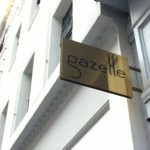 Gazelle Mayfair opened on the first floor of 49 Albemarle Street earlier this Summer and it is currently my favourite opening of 2018. 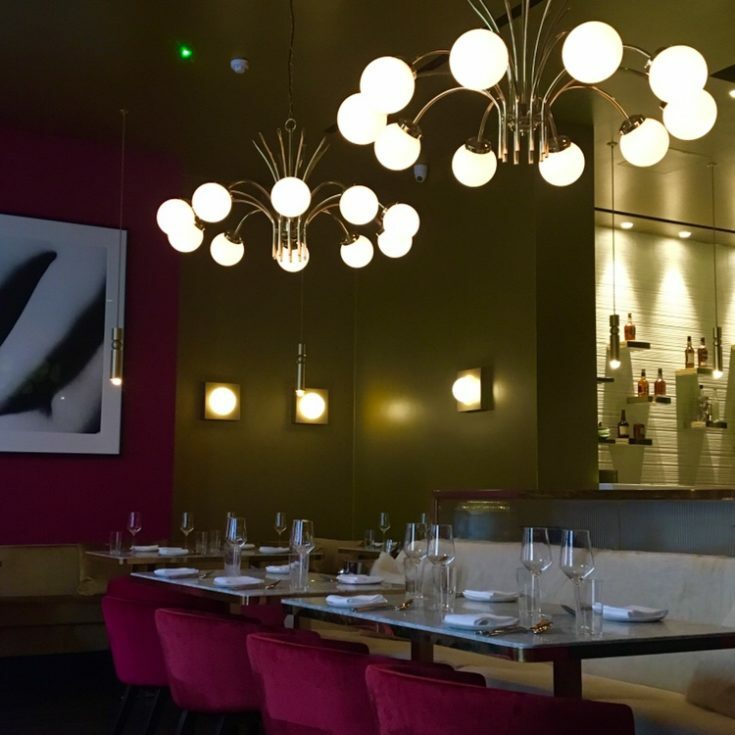 Breathing a breath of fresh air into the re-ignited Albemarle Street- led by Trophaeum Estates. Arriving to the first floor by sensible staircase or elevator, your eyes are immediately drawn to the intimate dining room. No peaking eyes here. 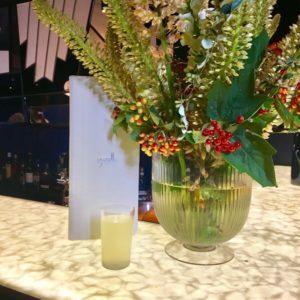 An ornate spiral staircase carries diners up to the charismatic second floor bar – where I paired my golden Petite Merveille champagne cocktail with a Strawberry Oyster. 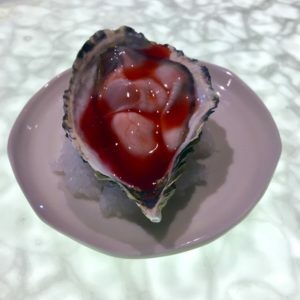 (Yes- you should visit for the oyster alone). Descending the staircase to the modern dining room, I chose a corner table, perfect to let in the summer evening light. 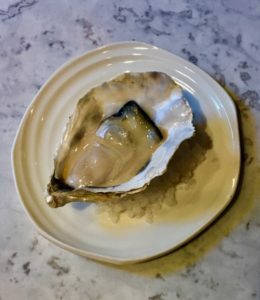 Oyster, Yeast Emulsion- because one oyster was not enough. Deliciously yummy. 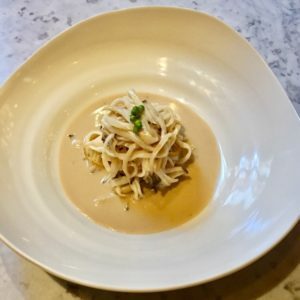 Mushroom, Pine Nut, Wild Garlic – I wanted to jump inside the bowl. An oh so comfortable dish that I just have to master myself. 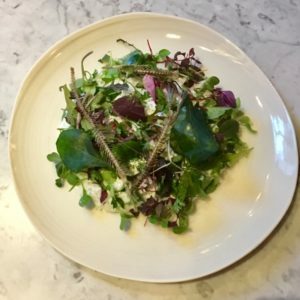 Bitter Herbs, Parmesan, Anchovy – deconstructed anchovy, making for a light salad addition. Fennel & Spelt Bread – the whipped butter trend continues, and anything Fennel has my vote. 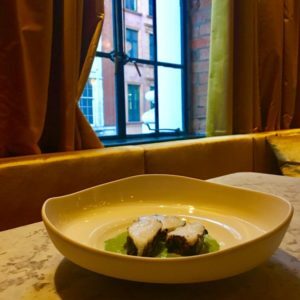 Monkfish, Burnt Seeds, Pistachio – a dish of wonders. 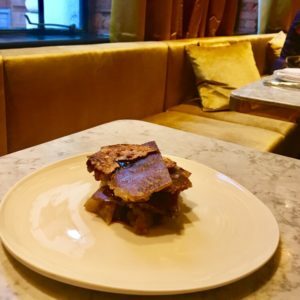 Pig Ears, Jerusalem Artichokes, Manhattan – my first foray into pig ears; and a pleasant surprise. 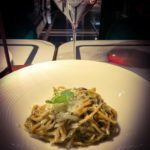 The attention given to each dish is intrinsically clear; and the passion is clear from each chef, as they deliver each dish, personally to your table. 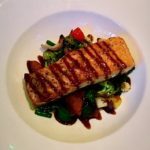 Head Chef Rob Roy Cameron leads the kitchen where you will also find Chef Ben Morgan. The standout dishes for me were the Strawberry Oyster, Mushroom and Monkfish. The perfect setting for lingering lunches and dinner for two; but, hey there’s nothing wrong in dining solo, like I did on this occasion. Of course, there’s no harm in just visiting for a cocktail and an oyster. Thank-you to Brodie and Ben for ensuring I had the most fabulous dining experience.